We’re down to a scant two (2) weeks – 14 days – until the November election and Republican Tea Party (GOTP) presidential footnote Willard Mitt Romney’s reeling from the smack down he took in New York coupled with the thumping he received in Florida last night, including the fact we’re all out of horses and bayonets; can he recover from such a pummeling by the President of the United States? Sure he can because “everyone loves Mitt” – said nobody ever. So, how does the GOTP candidate stand up against the President this week? The ABC News/Wash Post poll of likely voters conducted from 18 – 21 Oct 12 has the President with a 52% favorability rating compared to Romney’s 50%. So, who’s more electable right now? On this day four years ago SEN Obama led SEN McCain in the polls 50.1/42.6 and ultimately losing to SEN Obama by a margin of 52.1/44.5. So, if the general election was held today, according to the latest national polls it appears Willard Mitt Romney loses to President Obama in the general election. Results of 10 consecutive simulations based on poll data as of 23 Oct 12. Of 10 simulations President Obama and Romney split even at five apiece. 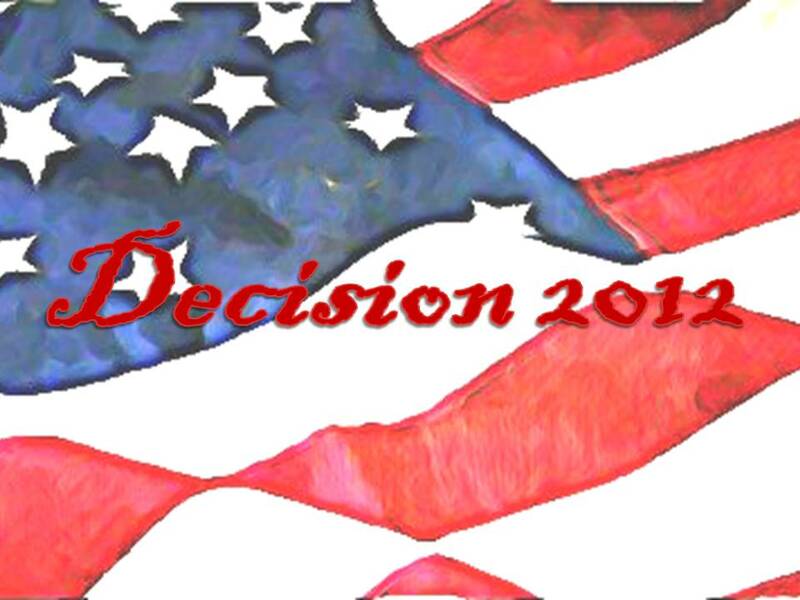 The simulations use cumulative polling data by state and are not based off of national polling data. According to polling data available if the election was held today the Democratic Party would retain its majority in the United States Senate 55/45; while Democrats will be picking up at least 13 seats in the House of Representatives, the GOTP would retain control of the lower House, but just barely at 230/205. You lost me with your polemics, but if you are trying to figure out who will win the presidency, it’s Romney, by about 3 percentage points in the popular vote and by 29 – 32 electoral votes. Rasmussen was the most accurate poll in the 2008 election ranking number 1 out of the top 30 polls for accuracy. Also, you have NC for Obama, are you serious? This entire article is joke-filled. Nobody is taking you seriously, nor should they. Harold, and William, it never hurts to hold out hope, stranger things have happened, but don’t get overly hopeful, and that appears to me exactly what you’re doing. 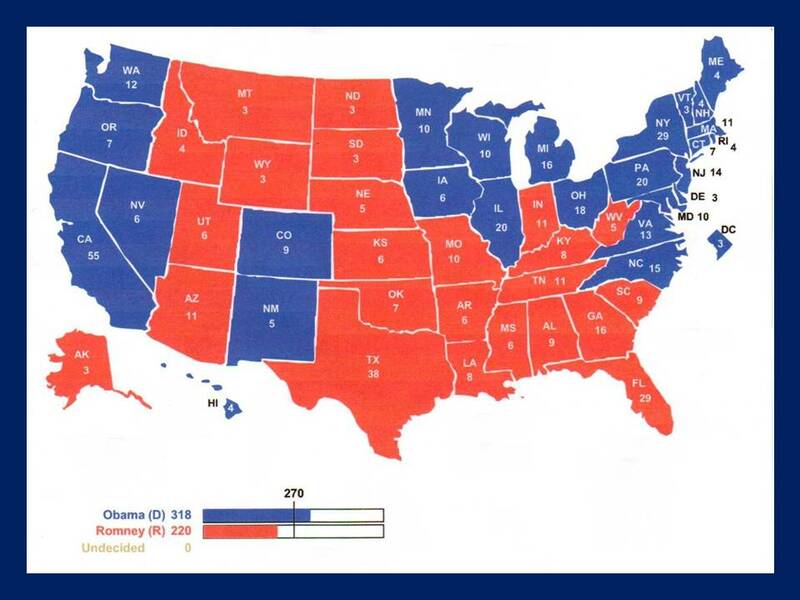 Fact is- Obama only needs to hold the existing states he holds with leads of +2.0 or more percentage points, and capture Ohio, and any combination of two out of three of these states (Nev., N.M., CO.), and it matters little what Romney does after that, up to and including the popular vote. Sorry to burst your bubbles but those are the facts.